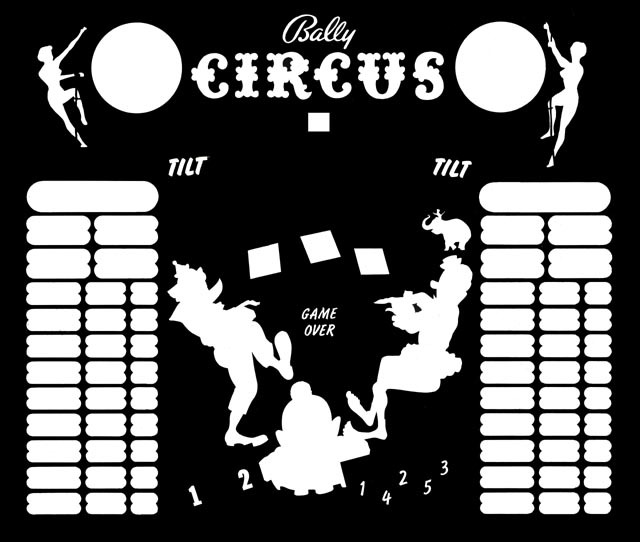 We received a request to restore a 1957 Bally Circus backglass. 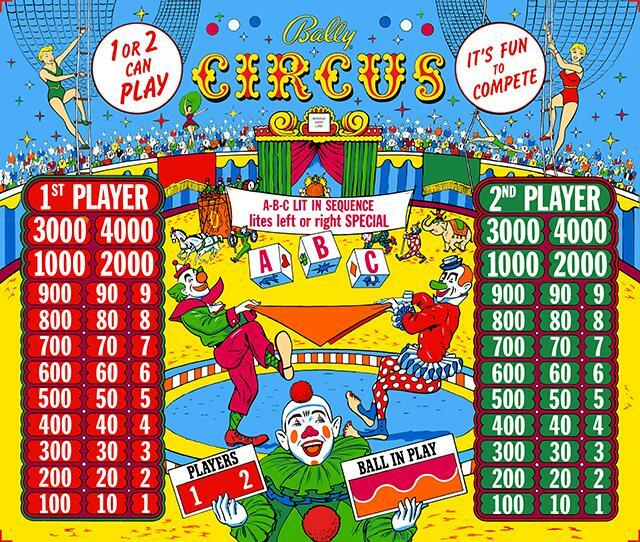 This is the game Bally released right after the 1956 hit Balls-a-Poppin, and is basically the same game (but with different artwork.) 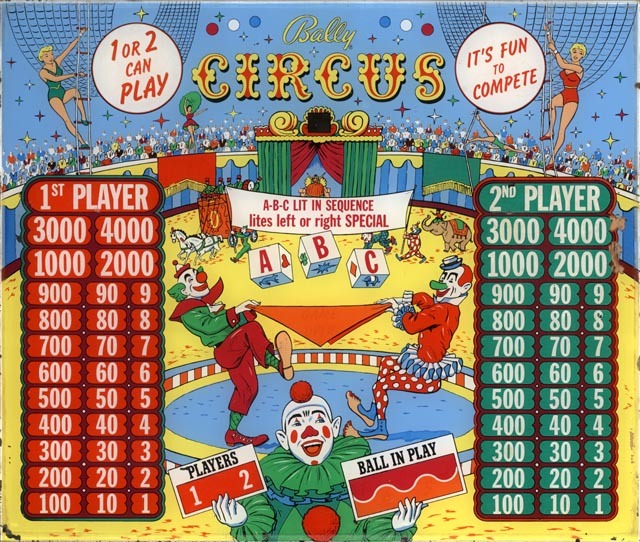 An amazing game, and one certainly worthy of restoration. So we were more than happy to take on this glass. Note we had done a restoration on this glass long ago, but we decided to start over because we received an original glass in pretty excellent condition. Below are the before and after pictures.